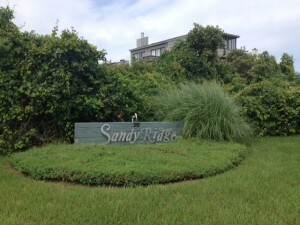 Sandy Ridge, located in Duck, North Carolina, offers a community pool and convenient beach access for use by owners and guests in this community of twenty five homes. Choose from a wide variety of recreational activities, shopping and restaurants in the charming village of Duck. Greet the morning with a sunrise over the Atlantic or stroll to Duck Village for a romantic dinner on the sound.